Much more than just another dermatology practice in the Boston area, SkinCare Physicians is a comprehensive state-of-the-art center for cosmetic and laser surgery, dermatology, dermatologic and skin cancer surgery, and medical aesthetics. The mission of SkinCare Physicians is to deliver personalized service along with ethical, skilled, comprehensive care. Our commitment to excellence, along with the credentials of our skilled physicians and staff, are what make SkinCare Physicians the most unique and progressive facilities of its kind in the world. To get started, request a consultation online at our practice near Boston or call our dermatology office at (617) 731-1600 to schedule an appointment. 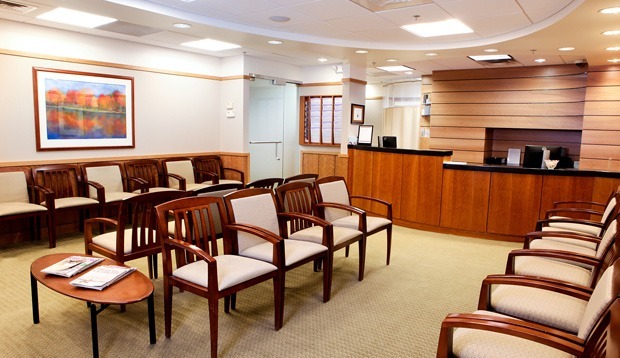 Upon entering our dermatology facility, you’ll be checked in by one of our courteous staff. Our modern reception area is a warm and friendly environment with comfortable chairs, a wide variety of reading material, and computers with Internet access. There is free wireless internet access if you prefer to bring your own wireless enabled computer. Parking is free. We are leaders in clinically applied research in many aspects of dermatology, including general dermatology, laser treatments, cosmetic surgery and hair restoration. At our state-of-the-art research facility, many new techniques and products are developed and enhanced. The research program at SkinCare Physicians has taken years to perfect, and is a very important part of who we are and what we do. We are proud to have formal academic and teaching relationships with many of the preeminent teaching institutions in New England. We are affiliated with medical schools of Yale University, Harvard University, Dartmouth College, Boston University, and Tufts University.